The world has changed. We needed to change as well. 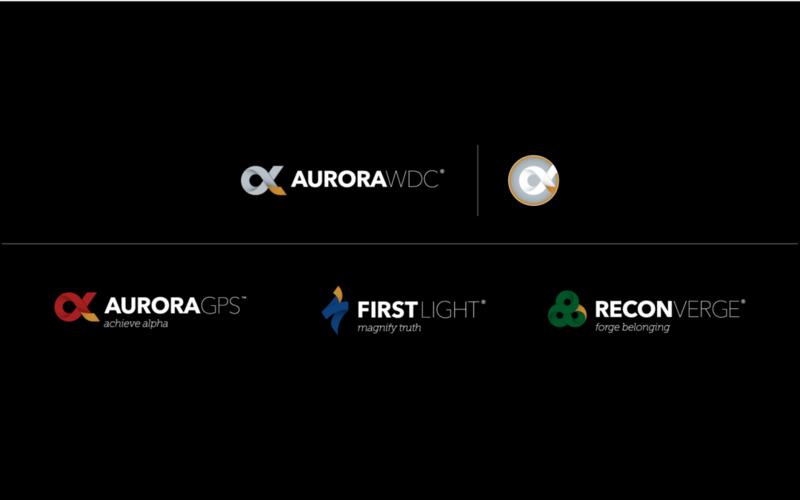 As a culture, we believe Aurora WDC is never “finished”… the company is a continuous work-in-progress becoming, as much as possible, whatever our clients will demand next. Over more than two decades, Aurora has been transformed from what started out as a humble means of employment (for me) into a respected advisor to industry in the Americas, Europe and Asia on matters of competitive intelligence, strategy and innovation. Today, I am delighted to unveil the rebranding of the company I founded so many years ago. Our new look doesn’t stop at the surface. We’ve spent the year thinking carefully about the “why” that drives the company so that we can reconnect with who we are and reconsider what we aspire to become. For further background on the culture we try to live out at Aurora WDC, please read my short essay on “How to Become a Champion”, published on Aurora’s 22nd birthday. In a series of blog posts this week, I will unveil the deeper rationale behind each of our brand identities. On Friday, I’ll leave you with an opportunity to get involved in where we’re headed. Today, I’ll focus on the corporate entity itself: Aurora Worldwide Development Corporation. It was my 25th birthday, February 3rd, 1995, and I found myself sitting in the new office we had walled off on the easternmost twelve feet of my mother’s beauty salon in my hometown of Chetek, Wisconsin. I’d just mailed off incorporation paperwork earlier that day. As the next order of business, I was trying to choose a logo that I felt would represent what I wanted to achieve with the company. As an early riser, the sunrise was something I’d learned to appreciate. I’d spent many mornings appreciating the sun peeking over the horizon during workouts on the University of Wisconsin – Madison men’s crew team. The word “Aurora” (meaning “dawn”) seemed appropriate and meaningful to me. Aurora Worldwide Development Corporation (dba, “Aurora WDC”) would soon come to bear the Greek letter “alpha” as its symbol, linking the word “Aurora” even more closely to its Greek root naming the goddess of the dawn. For me, it has come to stand for many things, but none more symbolic than shining a first light to dispel the lingering darkness. Alpha represents leadership in many domains: biology (leader of the pack); astronomy (the brightest star in a constellation); finance (abnormally high rate of return on risk-adjusted capital); mathematics (quantities of angles in algebraic solutions and statistical significance of alternative hypotheses)… but most important to me, was that alpha represents new beginnings, creativity, the start of things… doing it new. That’s what “Aurora” means to me today: more than just the start of my career; creating a pathway for peace and progress in the world that we can share together. The visuals you see today are representations of the combined input of every single person at Aurora WDC as well as dozens of collaborators beyond our corporate borders. I am grateful to everyone who had a hand in what we’re still becoming. Thank you. Tomorrow, I’ll introduce the newest aspect of our identity, embodying the roots of our business, the bold, new professional services brand, Aurora GPS.